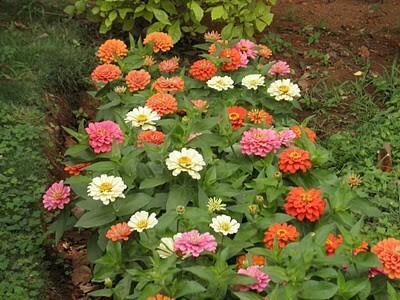 Thumbelina Zinnia-(Zinnia elegans)-These elf sized zinnias only grow to a height of 6 inches. They are perfect for edging or container growing. The 2 inch diameter blooms come in a variety of pastel colors. Grow in full sun in well drained soil. This annual blooms mid-summer through fall.